Last weekend in San Francisco I had the most incredible seafood dish I think I’ve ever eaten. It was a delicious, full of scallops, cod, clams, swimming in a bowl of broth and fennel. It had me craving seafood like crazy. I love San Francisco for so many reasons but I think the food scene is one of the best. 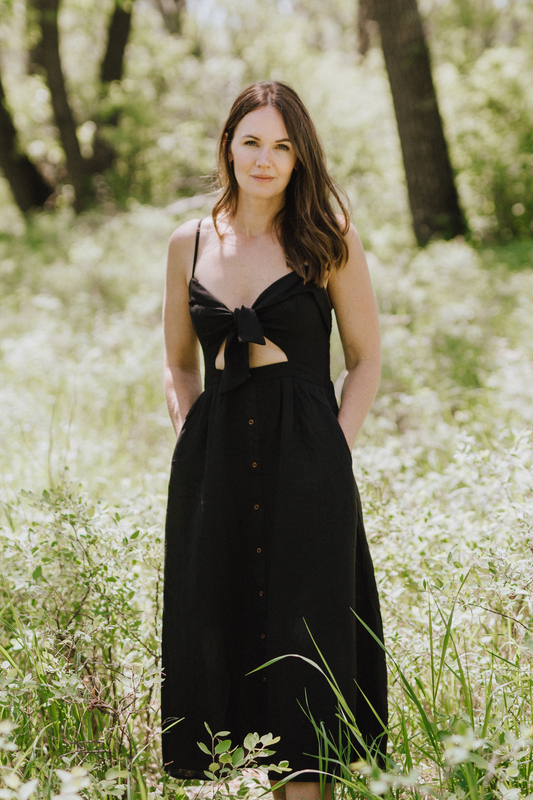 Whenever I come back from a weekend trip I eat really clean for the week, especially when it was a weekend full of wine and maybe not the cleanest meals shared with 18 girls on a bachelorette trip. If you’re ever in San Francisco I recommend checking out Foreign Cinema where I had my seafood dish. 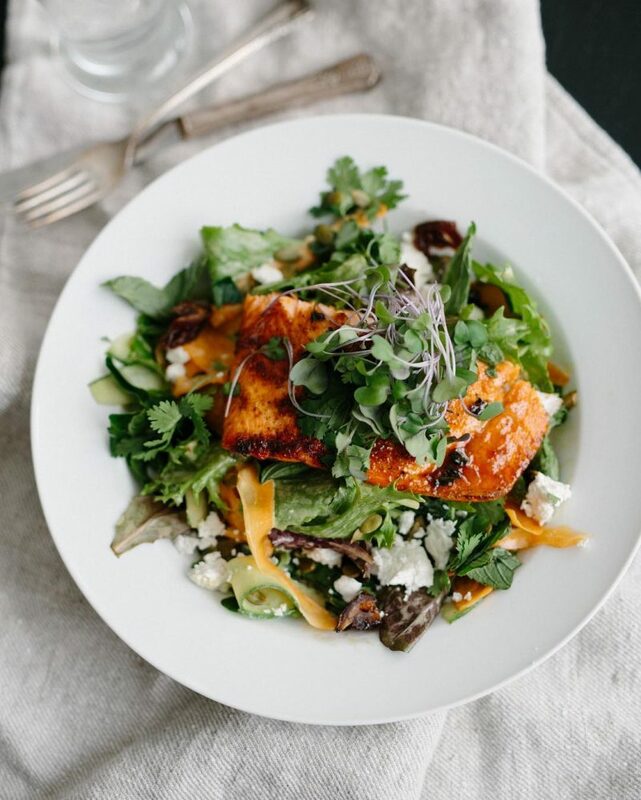 Roasting a trout is so easy and makes a quick weeknight meal paired with roasted vegetables and a simple green salad. 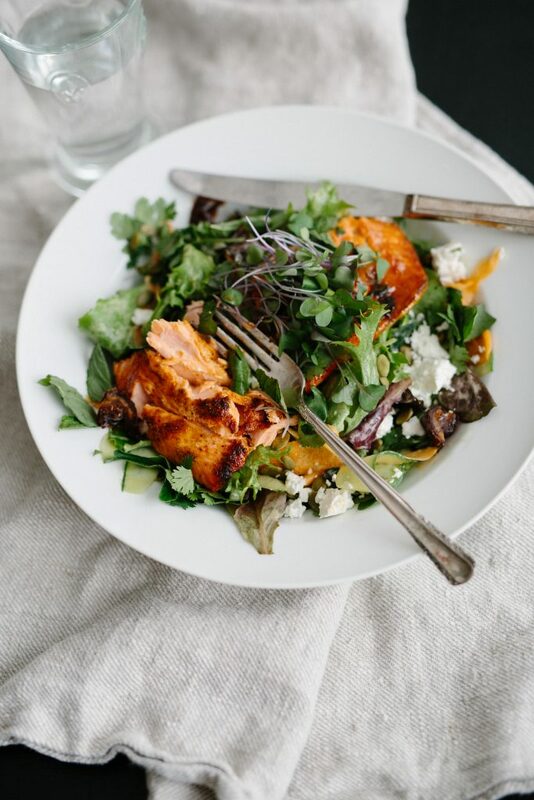 I chose to make this trout for lunch on Friday and served it with a fresh green salad and a creamy orange cumin dressing. Rinse the trout under cold water and pat dry. Lay the trout skin side down on the prepared baking sheet. Drizzle with olive oil and brush with maple syrup. 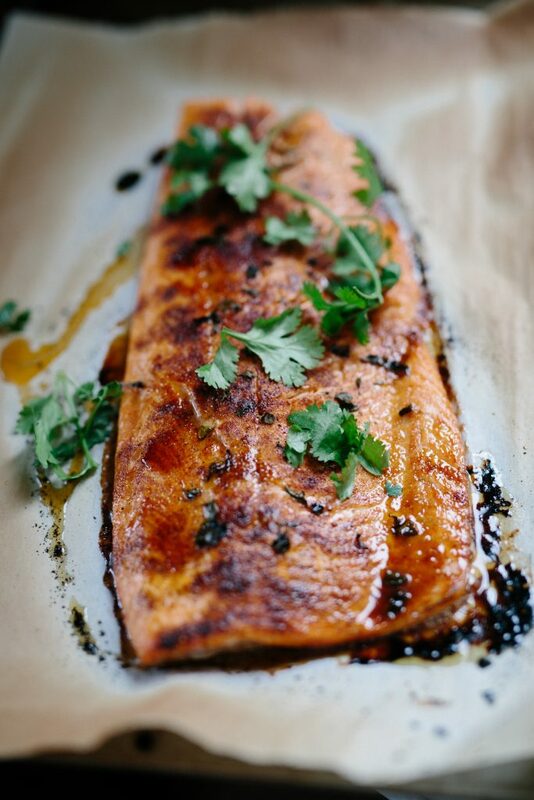 Generously sprinkle the Marrakesh spice over the salmon. 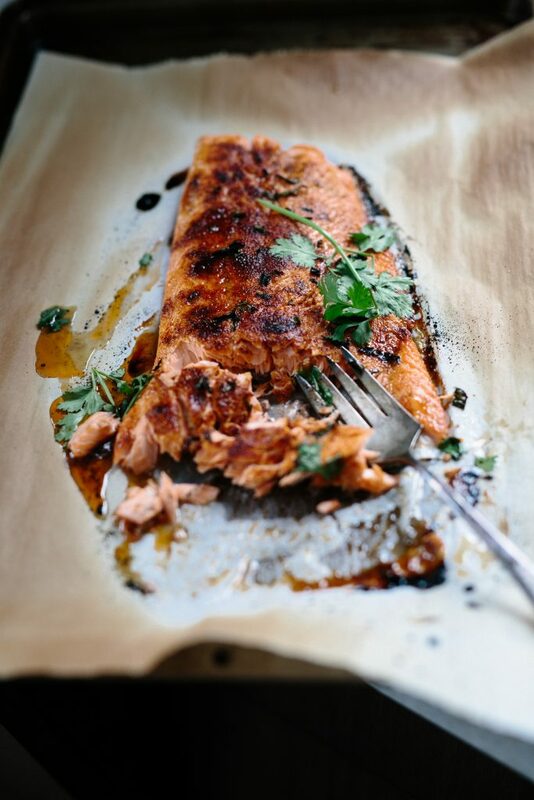 Chop a little fresh cilantro and sprinkle a little over the salmon. Place in the oven on the middle rack under the broiler. Broil, watching very carefully, checking for doneness after 10 minutes. The time depends on the thickness of the trout. I basically check if every few minutes because overcooked fish is not good. Remove from the oven when it flakes back easily with a fork. 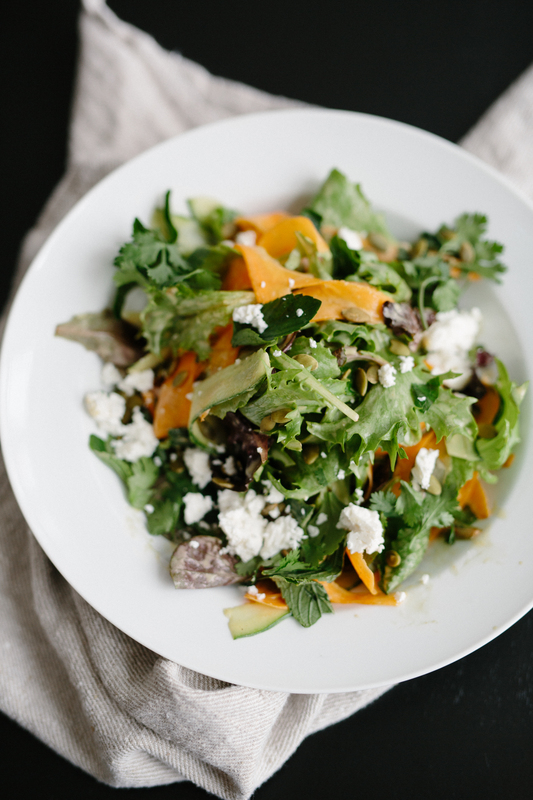 Combine the greens, carrot ribbons, cucumber ribbons, dates, feta, chopped mint and cilantro in a large bowl. 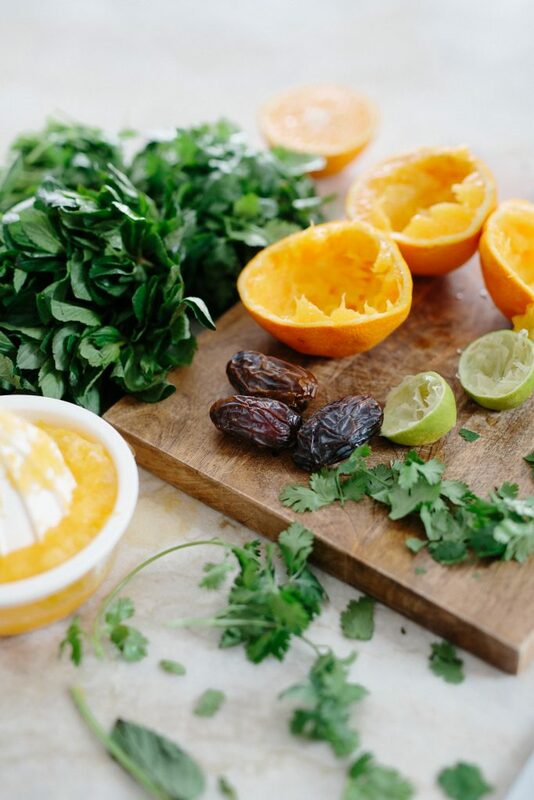 Add the orange juice, lime juice, zest, dates, cilantro, shallot, cumin, pinch of sea salt and pepper to a Vitamix. Blend until smooth. Add the olive oil and blend just until emulsified. Toss the greens with desired amount of dressing and serve with trout.